The drug is the dried root, dried of fresh leaf or fruit of Elaeagrus umbellata Thunb. 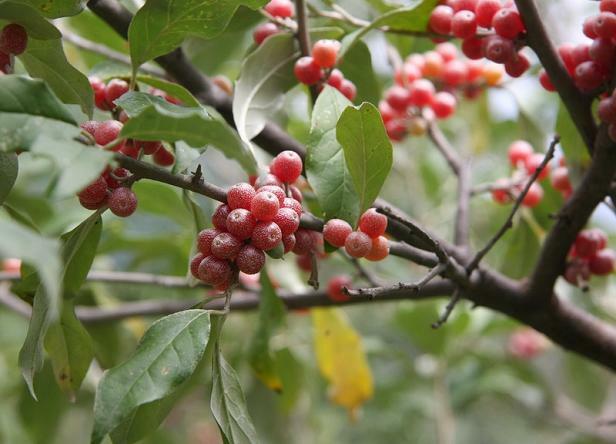 (Fatally Elaeagnaceae), growing on the edge of forests, in scrubs, on waste hillsides or along creeks, and distributed in North China, East China, Southwest China and Liaoning, Shaanxi, Gansu, Qinghai, Ningxia, Hubei and Hunan. Bitter, sour, cool; lung, liver and large intestine meridians entered. Clear heat and relieve cough, eliminate dampness and remove toxicity. Leucorrhea, acute mastitis, diarrhea, dysentery, uterine bleeding, cough with lung heat, stranguria. Decoct 15~30 g of the root and leaf, or 3~9 g of the fruit.